Yes, McDonald's can pretend it wants to offer healthier options, but everyone knows the chain works best as a place to pack in as many calories as possible. The mega-chain's Japanese wing seems to know this as well as anyone, unveiling a steady stream of high-concept crap (chocolate fries, a burger topped with mashed potatoes, food that's embedded with human teeth), and the latest debut is the most impressive effort yet. 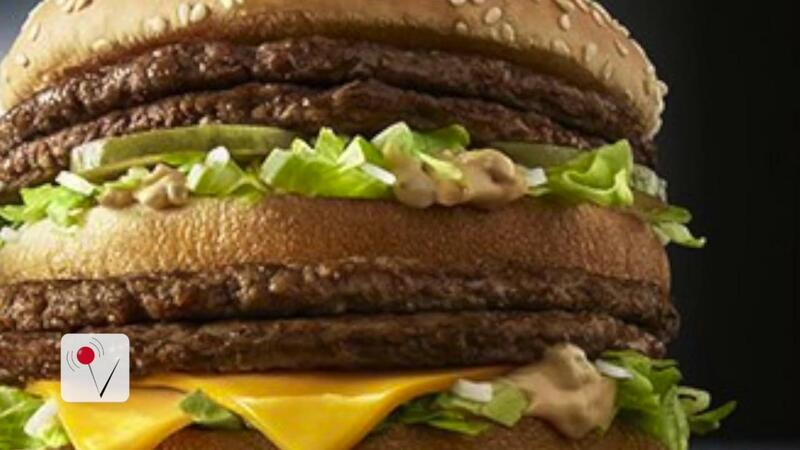 In five days, Japanese McD's will roll out something known as the Giga Big Mac. This beast takes McDonald's largest sandwich and adds two additional patties for a total of "more than 2.8 times as much meat." Per standard math, you'd think a four-patty Big Mac would have two times the meat, but that overlooks this sandwich's true genius — because the diameter of the Giga is wider as well. The company boasts that anyone who polishes off an entire sandwich will be able to leave McDonald's with "a satisfied sense of accomplishment," which is certainly one way to put it. Naturally, there are comically sized fries and drinks for gluttons who'd prefer their burgerzilla order as a combo. The drink holds twice as much soda as a normal large, and there are 1.7 times as many fries. The promotion also involves a smaller Giga sandwich called the "Grand Big Mac" that's still 30 percent more beef than usual, but it's unclear why anyone would opt for the junior-varsity version of an oversize sandwich.